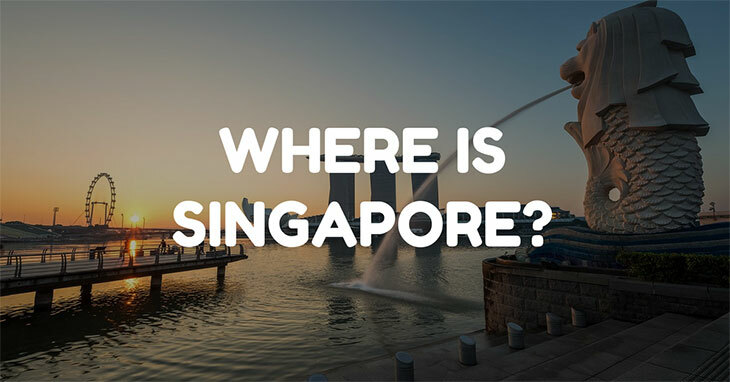 When thinking about Asia and travelling Asia, have you ever asked yourself where is Singapore? Singapore, sadly, for many people is little more than a hub airport where you must endure ridiculously long airport layovers before you catch your next flight. We are here to set the record straight, not only is Singapore a destination in its own right but is certainly worthy of your visiting! Is Singapore a City, an Island or a Country? Is a Visa Necessary to Visit Singapore? For backpackers, Singapore is often missed off as part of the South East Asia backpacking route for at times the city can be expensive. That said, it is certainly good value for money and this clean and bright city is certainly a sight for sore, weary, traveller eyes! Wonderfully multicultural and with a strong expatriate community Singapore has plenty of different sights to see and some amazing international restaurants too! If you’re looking for variety and versatility in your annual vacation then you should seriously consider a trip to Singapore. Before you do that though you should probably find out where is Singapore and a little more about it! Just to make matters even more confusing Singapore is both a city and an island and in fact a country in its own right too! Singapore is the name of the main city on the island country of Singapore. The nation of Singapore holds all the same accreditation as any other official nation state. The country of Singapore consists of over 60 different islands and islets. Singapore is officially known as the Republic of Singapore and became its own nation 1965 after regaining its sovereignty from first the United Kingdom and then again from Malaysia. The total area of Singapore is 719.1 square kilometres; although small the Republic of Singapore is a truly prosperous and successful nation, especially in the business and banking world. As we mentioned in our introduction, Singapore is the never definition of a multicultural nation. So much so that there is not just one but five official languages; English, Malay, Huayu, Mandarin and Tamil. English is by far the most widely spoken language with Malay following in close second place. So now we have established whether Singapore is a city, island or country; to recap, it is all three all at the same time! We should talk about the location of Singapore. Singapore is one of Asia’s forty-eight nations and is considered to be part of South East Asia along with Thailand, Cambodia, Vietnam, Laos, Indonesia, Malaysia, the Philippines, Myanmar, Brunei, and Timor-Leste. How many of the South East Asia countries have you ticked off? Travel between these eleven nations is cheap and easy; you can see why so many people do it! Singapore shares only one border and that is with Malaysia. At the southernmost tip of mainland Malaysia do the borders meet. Singapore is one of the world’s youngest nations having only established sovereignty in 1965. Singapore is often known as The Little Red Dot or simps the Red Dot by locals for on a world map Singapore is so small that the dot to indicate its location is often bigger than its size on the map! Singapore is a majority Buddhist nation with large communities of Christians and Hindus too. As such, every single religious holiday and festival is celebrated in Singapore with much love and community spirit! Chinese New Year is a big deal in Singapore as nearly 75% of the population are of Chinese origin. The population if Singapore is just over five million people; although a small nation Singapore does not feel cramped or overcrowded. 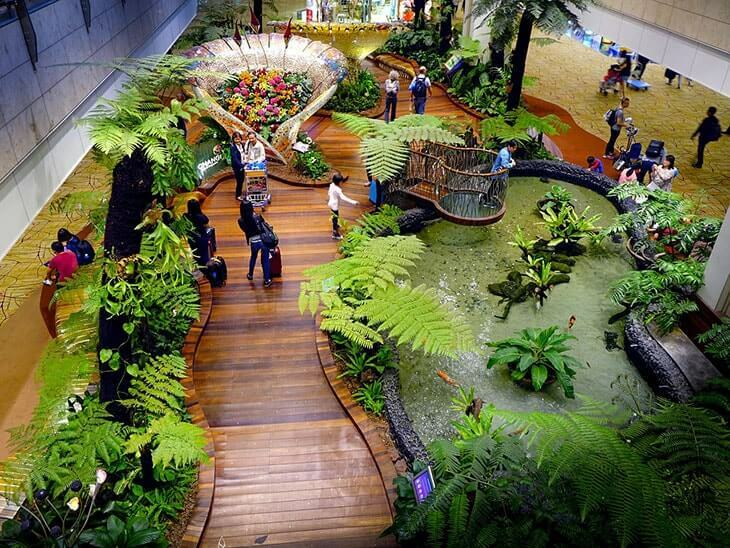 Singapore has one international airport known as Changi Airport and is located just 19 kilometres from the city centre; you can hail a private taxi cab for as little as $20-25. Singapore’s main public transport facility is known as the MRT, the mass rap transit. You can by single tickets or day and monthly passes depending on the duration of your stay. This is the fastest, safest and easiest way to get around the city and opens up at 5.30am and the last train stops at midnight. As Singapore is a business and travel hub there is ample accommodation everywhere you go. Whether you want to be in the beating heart of the city or our in the suburbs you will surely find a hotel, guesthouse or holiday rental that will suit your taste and budget. Singapore is great for travellers; not only is it a major travel hub with plenty to do and see it is also one of the few visa free countries for citizens of the United States of America. As such, you do not need to apply for a visa in advance of your travels nor must you pay a visa or country entrance fee when you land and get through immigration. However, you must carry your passport with you and your passport must have at least six months worth of validity for the duration as of the day you enter the country. On arrival in Singapore and provided that customs and immigration are satisfied you will be given a 90-day visitors permit that allows freedom of travel within Singapore but you are not permitted to work. Between February and April are popular times to visit Singapore for the weather is at its most pleasant; not too hot and not too cold. It is a great time to explore the city and beyond. The wettest months are January and February and although there is still plenty to do in Singapore on a rainy day, no one wants a rainy holiday do they really?! If you want to go to Singapore for the sunshine and heat then be sure to time your travels for May and June, these are by far the hottest months of the year and the city becomes sweltering. Singapore is far more expensive than its South-East Asian neighbours of Thailand, Laos and Indonesia where a recent hotel room can cost as little as $10 a night. The average 3-star hotel room in Singapore costs $88 whereas 5-star rooms start $215. A semi-luxurious stay in Singapore won't break the bank, in reality. In terms of eating out the average meal will cost you around $4-6, that’s if you chose to eat at a small, local style restaurant. A fine dining experience will see you get little change from $200 but you would be privy to only the best ingredients and the finest of fine wines. When it comes to day tours of Singapore you have plenty of choice. A day long hop-on-hop-off bus tour of all of Singapore’s mahout landmarks, tourist attractions and sites will cost $30 for one person. Something to consider is the Singapore Admission Flexi Pass that gets you entrance and line skipping to all the major attractions for around $70. The EZ-Card is not just for locals but for tourists too! Although you won’t get as much use out of it as the average commuter the EZ-Link will certainly help save you money when travelling on the LRT and MRT trains. Unlike almost all other asian countries the tap water in Singapore is safe to drink! This can save you lots if you think that a single bottle of water costs $2. Remember to bring your own refillable bottle or buy one at the nearest supermarket when you land! Singapore has a wealth of street food and food halls on offer! The quality is arguably better than what you’d find in Thailand or Cambodia of fill up while you can!